All homes currently listed for sale in the zip code 90808 as of 04/21/2019 are shown below. You can change the search criteria at any time by pressing the 'Change Search' button below. 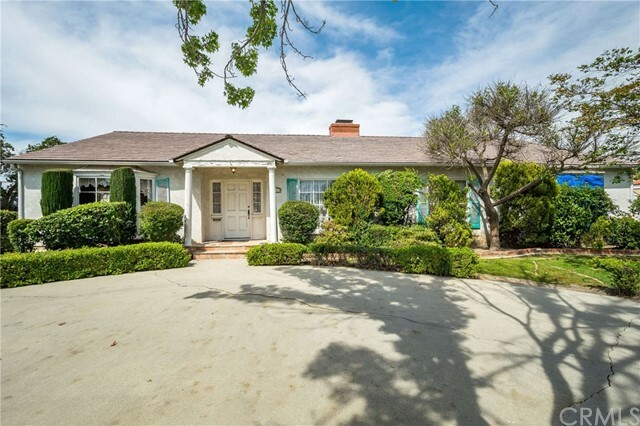 "Attention to detail has never been more exemplified in the Rancho Estates than in this exceptional Cliff May home. 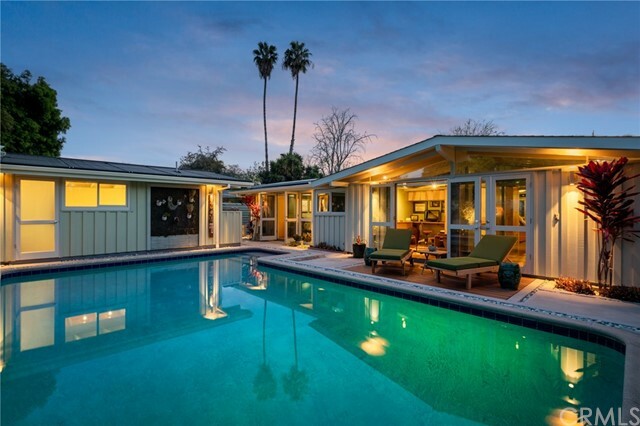 Every inch of this midcentury modern masterpiece has been thoughtfully designed to deliver modern conveniences and comforts, while maintaining the style and spirit that make Cliff May designed homes uniquely appealing and distinctively Southern Californian. Originally built in 1954, the main house now measures approximately 1,500 square feet and features a gourmet kitchen with 5-burner professional cooktop and stainless appliances, built-in bar with wine cooler, designer lighting on dimmers throughout, Tigerwood bamboo and Seagrass limestone flooring, custom birch cabinetry throughout, expanded master bathroom with dual sinks and showerheads, expanded master bedroom with dual walk-in closets - and on and on go the list of upgrades. The detached guest quarters/office space measures approximately 300 square feet and is configured as a studio with kitchenette, complete with bathroom that exits to a large saltwater pool. functional upgrades to the Property include newer electrical, plumbing, HVAC and ducting. Energy efficiency upgrades include solar electrical, solar pool heating, tankless water heaters and water circulation pump, cell foam insulation in walls, tinted windows, and electric car charger. There has simply never been a Rancho like this." "When the architects designed this estate they without a doubt, took all comforts into consideration. The home benefits from having two bedrooms and a full bathroom downstairs to complement the greatroom concept of a kitchen/dining/living room that all flow together seamlessly. Enjoy large family gatherings or comfortably entertain large groups of friends in style. Venture up the wide staircase to find a generous landing with room enough for full sized furnishings, media options and a 1/2 bathroom. Near by, two more bedrooms conveniently flank the full Jack & Jill bathroom with dual sinks and a shower over a deep jetted tub. An oversized laundry closet affords you space for any sized appliances and a surplus of extra storage space. The vaulted ceilings atop 9' walls in the master suite, makes it feel like a private residence all on it's own. Treat yourself with a California King bed on one side of the see through fireplace and a cavernous walk in closet. Retreat for a breath of fresh air to your walk out balcony with room for two lounge chairs and a fire pit. Enjoy your relaxing, jetted/soaker tub nestled between views from your bay windows and the double sided fireplace. There is also a separate walk in shower with luxurious dual shower heads. 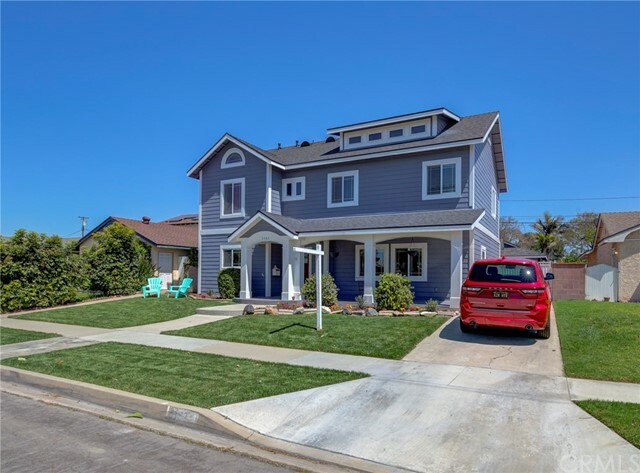 The peaceful neighborhood is far enough from freeway and airport noise yet easily accessible when you need to commute. Please read all the features and view the virtual tours & floor-plans in the media section of this listing." "Remodeled El Dorado Park Estates 201 tri-level model which is an ideal floor plan for the growing family or those in need of in-law quarters featuring the entry, living room, dining room, and kitchen on main level; the family room, a bedroom, a bathroom and laundry room on the lower level; and 3 bedrooms and 2 bathrooms on the upper level. Not only is it located on a cul-de-sac, it is filled with many quality features & amenities such as raised brick planters & brick porch, brand new dimensional composition roof, copper plumbing, crown molding, sliding french doors, a nice blend of carpet & wood look tile flooring, a huge inside laundry room with room for lots of extra storage, & much more! Spacious living room & dining room round out the living area providing a great room effect along with a gas burning fireplace & custom mantle. Gorgeous remodeled kitchen is fully equipped with quartz countertops, glass subway tile backsplash, shaker style cabinets with brushed nickel bar pulls, smooth surface cooktop, stainless steel Euro style range hood, microwave oven, dishwasher, large pantry, a breakfast nook, and a breakfast bar with seating for 4. Spacious sunken family room includes a large storage cabinet. Master suite includes dual mirrored wardrobes & an en suite bathroom. 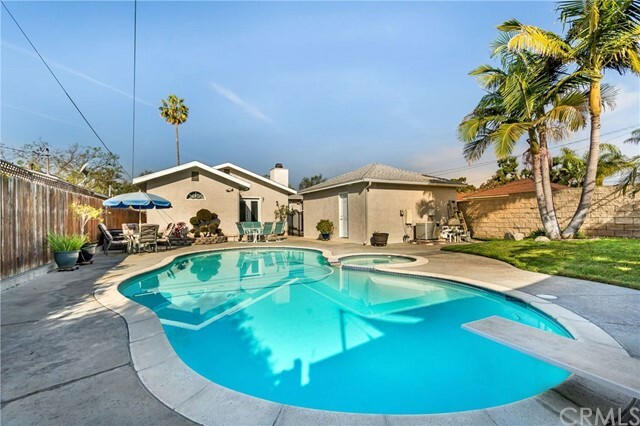 Entertainers backyard offers a refreshing pool & jacuzzi complete with a slide & diving board, a covered patio, stucco covered fencing, and room for a dog run." "Life is great in your new custom remodeled home! Enjoy your updated kitchen with new stainless appliances, quartz countertops, new custom cabinets and a walk-in pantry! Your spacious and open living room with a side bar area is perfect to host your family and friends. 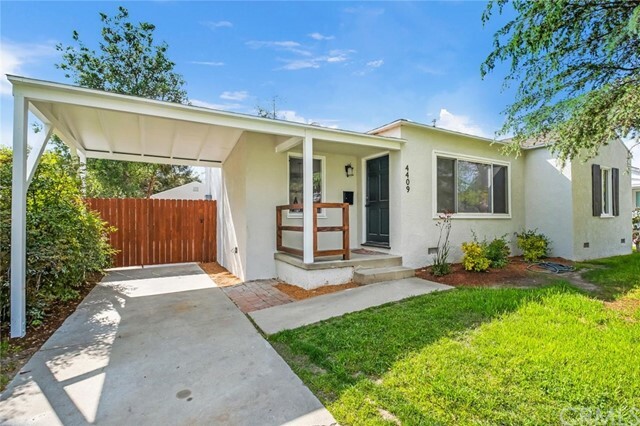 Two bedrooms are on the right of the house with a completely remodeled bathroom and through the living room hallway is your grand master en suite. Yes, your GRAND master en suite has a walk-in closet, dual sinks and an oversized shower that will make you want to be so fresh and so clean, all the time! You can step out to your covered patio through the living room hallway or your master suite and relax in your backyard with a built in stainless BBQ and a long driveway with plenty of room for RV Parking! Oh, and your 2 car garage is insulated & dry-walled for endless possibilities. Walk to parks, schools and restaurants. So many reasons why life is great at 5840 Lanai." "Stunning Custom Home in South of Conant. 3 Bedrooms & 2 Baths. Apprx 1,400 Sq. Ft. Resort-like backyard w/ custom outdoor kitchen, spa and fire pit. Gorgeous Upgraded Kitchen w/ island. Upgraded bathrooms. Large master suite w/ jacuzzi tub. Central Air and Heat. Built-in entertainments center, crown moldings. No detail was spared. 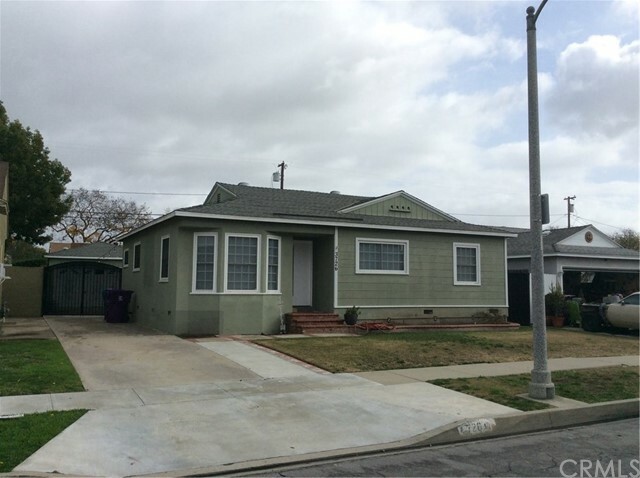 Absolutely Turnkey / Move In Condition. Extended 2 car attached garage. Thank you." 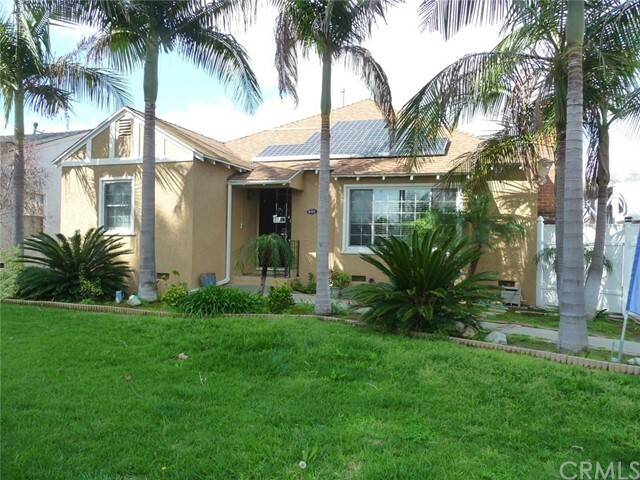 "Large single story in El Dorado Park Estates. One of the best ranked k-8 schools in the area Newcomb Academy. 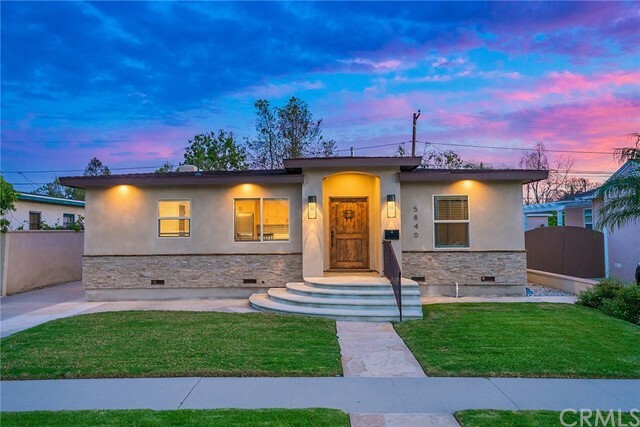 See agent remarks"
"Come visit this gorgeous, completely remodeled home located in the Plaza on a corner lot. Spacious and Bright floorplan. The 4th Bedroom doesn't have a closet but would make a great gym or office. Stunning open & bright kitchen with beautiful finishes. Built in Stainless Steel appliances including a wine fridge! Kitchen opens to large family room, office and half bath! A perfect home for entertaining friends & family. Large bedrooms with beautiful hardwood floors. Private Master Suite with coffered ceilings, custom walk in closet, and large master bath with dual vanities & custom walk in shower. Second bathroom has a walk in shower, and large tub! Other features include recessed lighting, real hardwood floors throughout, inside laundry, HVAC, and ceiling fans. Finished two car attached garage with large storage area in attic with drop down stairs for access. Private backyard with family room and master bedroom access. 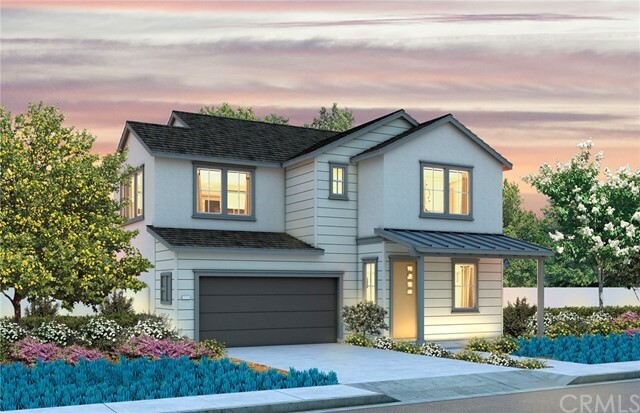 Don't miss out on making this your new home!" 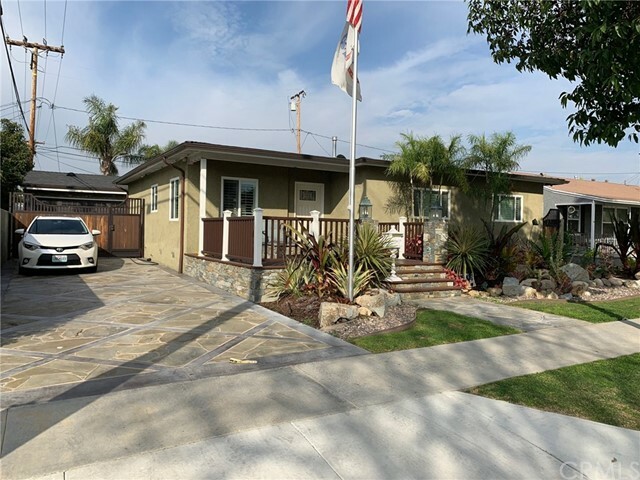 "***STUNNING UPDATED SINGLE STORY IN THE HEART OF LONG BEACH**** As you walk up to this home you will capture the newer landscaping, stucco, and exterior paint. The family room features a newer fireplace surrounded with marble and decorative solid wood mantle. Upgrades include: Newer light fixtures throughout, newer copper line plumping, newer water heater, brand new stainless steel refrigerator, brand new front loading washer and dryer, brand new ductless air conditioning & heating (controlled by remote control, each room is controlled independently), newer upgraded electrical panel, outlets, and switches. Outdoor upgrades include: Newer deck and patio with granite counter top and newer gas grill by the swimming pool, newer duel ceiling fan and recessed lighting on the patio and newer Trex composite decking. The list goes on and on with this property. 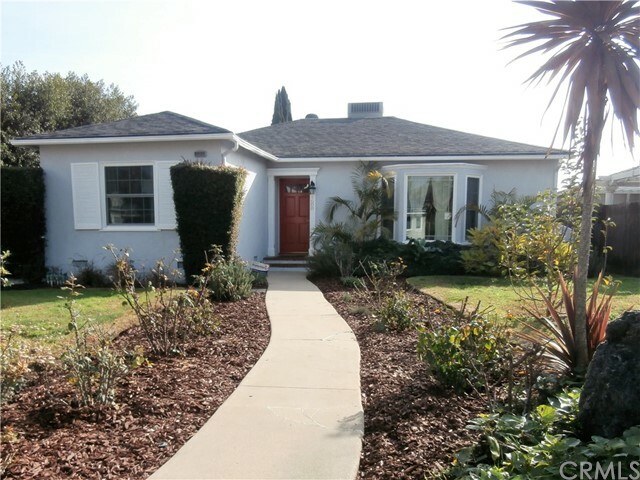 Centrally located near shopping, freeways and Cubberley Elementary. You won't be disappointed!" 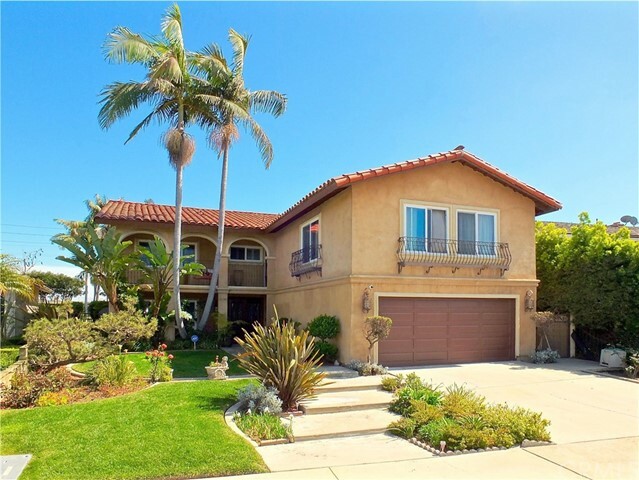 "STUNNING UPGRADED HOME WITH A GREAT OPEN FLOOR PLAN THAT IS VERY LIGHT & BRIGHT.. 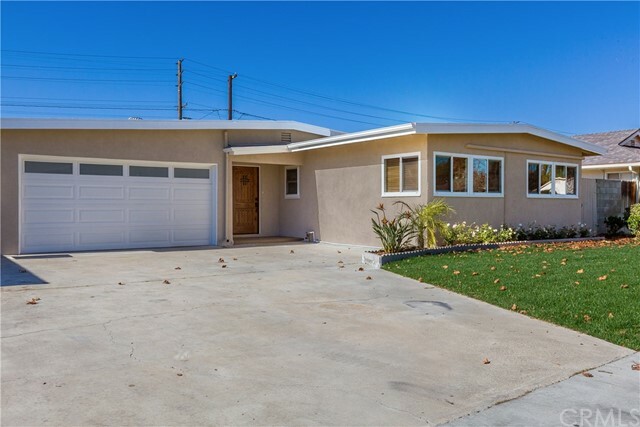 LOCATED IN HIGHLY SOUGHT AFTER NEIGHBORHOOD..NO EXPENSE SPARED ON THIS REMODEL..HIGH QUALITY UPGRADES INCLUDE A LARGE CHEF'S KITCHEN WITH MARBLE COUNTER TOPS & MARBLE BACK SPLASH THAT IS GORGEOUS!! 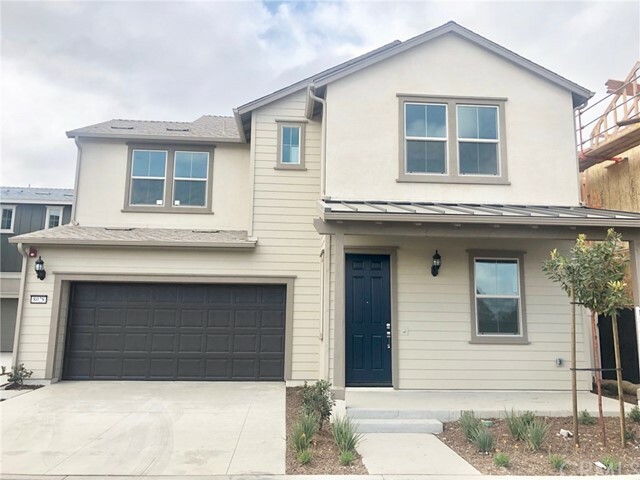 NEW TOUCH LESS FAUCET, LARGE FARM SINK, CUSTOM CABINETS WITH UNDER CABINET LIGHTING, PORCELAIN TILE THAT FLOWS NATURALLY WITH THE MARBLE COLORS, STAINLESS STEEL APPLIANCES, SEPARATE PANTRY ROOM WITH FROSTED GLASS, & FRENCH DOORS TO BACKYARD!! HUGE LIVING ROOM WITH A CUSTOM FIREPLACE WITH A GORGEOUS MANTLE AND CUSTOM BUILT-INS. 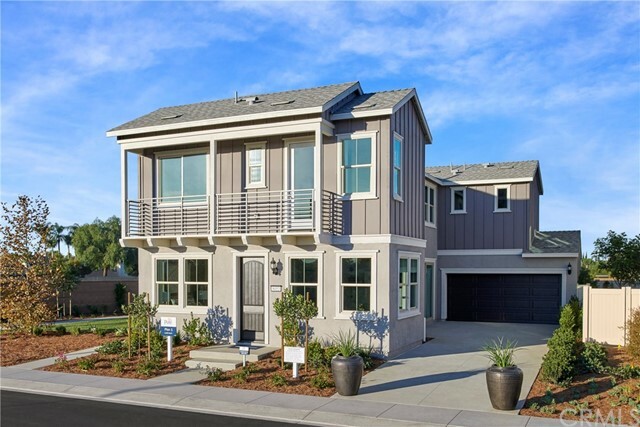 LARGE MASTER WITH WALK-IN CLOSET, NEW DOUBLE PANE SLIDING GLASS DOOR, FARM BATH DOOR, & NEW FLOORING. 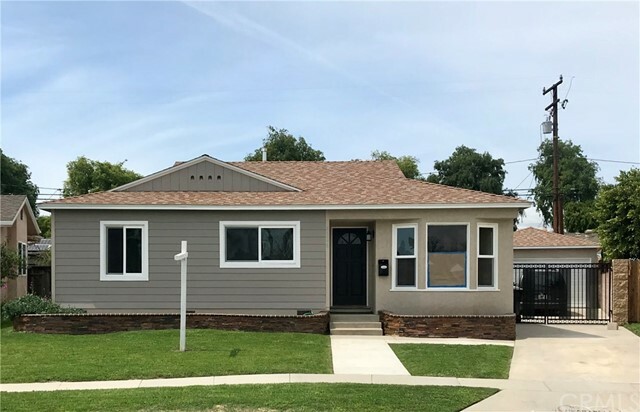 REMODELED MASTER BATH WITH DOUBLE SINKS & MARBLE COUNTER TOPS..AMAZING UPGRADED SHOWER WITH TILE & SEPARATE TUB INSIDE SHOWER WITH ALL GLASS SURROUNDS! UPGRADED GUEST BATH WITH DOUBLE SINKS, NEW MIRROR, TOUCH LESS TOILET, & UPGRADED BATH TUB WITH CUSTOM TILE SURROUND.. INSIDE LAUNDRY.UPGRADED LAMINATE FLOORS THROUGHOUT, SCRAPED CEILINGS, RECESSED LIGHTING, & CROWN MOLDING..DOUBLE PANE WINDOWS, A/C, LARGE BEDROOMS.. LARGE BACKYARD WITH A SECLUDED PATIO THAT IS PERFECT FOR ENTERTAINING. EXTRA LARGE LOT WITH HUGE DRIVEWAY FOR RV OR 6 CARS, TOYS, & GARAGE WITH EXTRA GARAGE DOOR IN BACK .. EXTERIOR HAS UPGRADED LIGHTING & CUSTOM MASONRY..WALK TO AWARD WINNING CARVER ELEMENTARY. 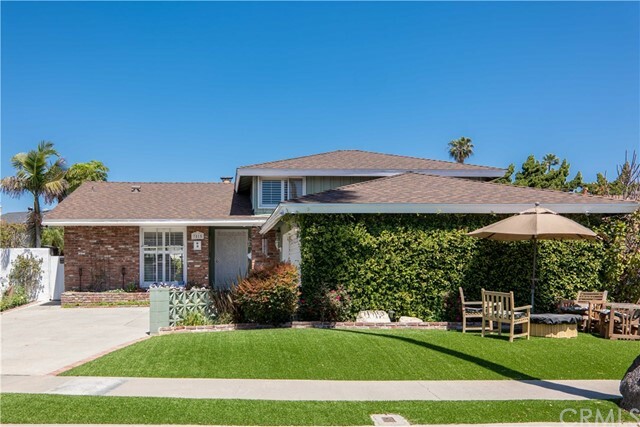 CLOSE TO SHOPPING, RESTAURANTS, GOLF COURSE & FREEWAYS.. COME MAKE THIS DREAM HOME YOURS TODAY!!!" 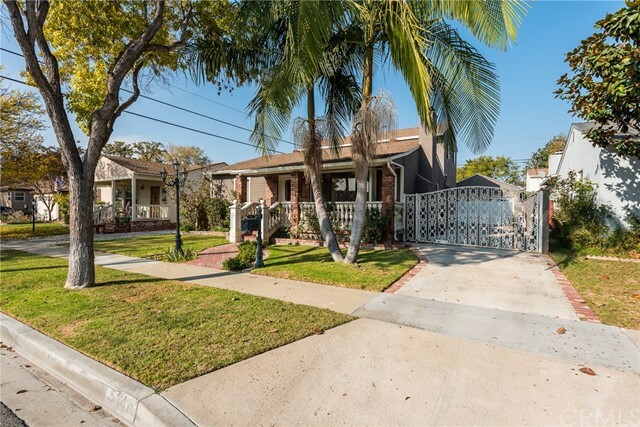 "Stunning renovated single story Long Beach residence situated in a charming Lakewood Village. Fall in love with the magnificent kitchen including new shaker cabinets, quartz countertop, spacious island, and stainless steel appliances. The master suite has a fully upgraded bathroom including 48 dual vanity, water closet, and large walk-in closet. The remaining two bedrooms feature new ceiling fans, plush carpet flooring, and mirrored closet sliders. The 8,000 square foot lot has a huge backyard - perfect for hosting and entertaining your guests. This is sure to go quickly, so come and see this home today!" 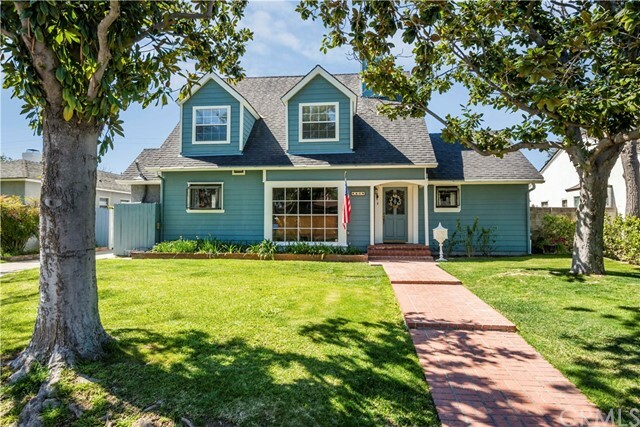 "From the stunning front porch entry to the sparkling pool in an oversized yard, everything says home at this Long Beach Beauty! Walk into the living room with a large picture window streaming light onto the glossy hardwood floors and the open floor plan takes you to the adjacent formal dining room or back to the family room with a cozy, corner stone fireplace with a raised hearth and French doors leading out to the pool area. Newer dual pane windows, central air and heat, and recessed lighting make this a comfortable retreat. 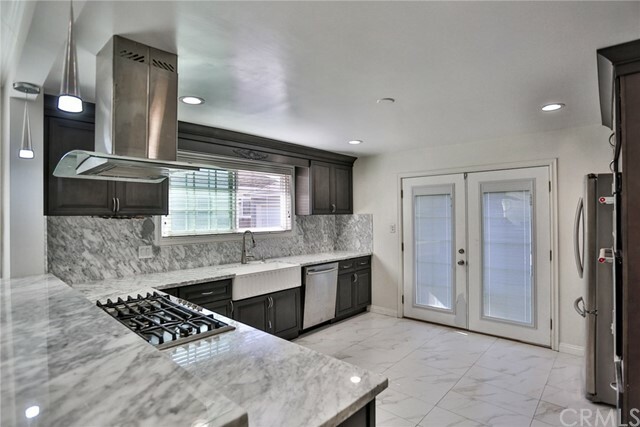 The kitchen is a chef s dream, with glossy white cabinets, custom Montecristo granite, glass backsplash, a large pantry, and high-end stainless-steel appliances plus a breakfast bar open to the family room makes it truly the heart of the home. A huge master ensuite can easily accommodate king size furniture with a walk-in closet and a master bath with ample storage and a glass-enclosed step-in shower. The full bath has been remodeled with the finest including a gorgeous sink vanity. The beautiful backyard with a glistening pool and soothing spa plus the grassy area and patio space is picture-perfect for entertaining. 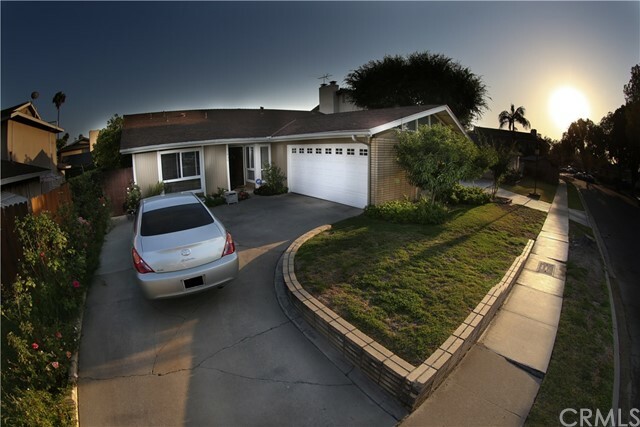 A two-car garage and long gated driveway are convenient for toys or RV parking!"